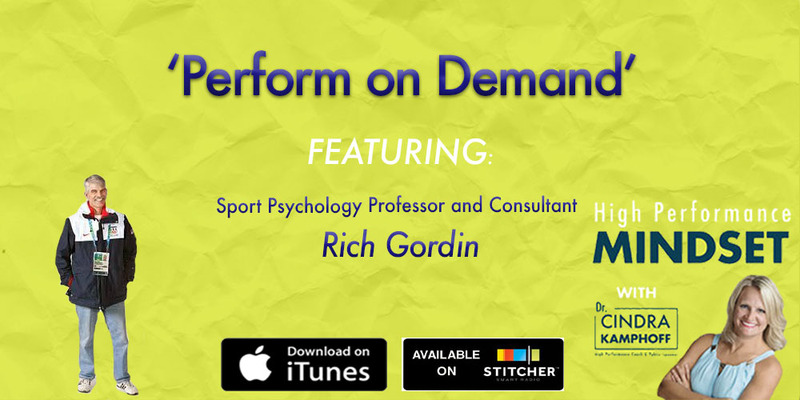 Richard Gordin is an emeritus professor in sport psychology at Utah State University. He has been at the university for 37 years. Dr. Gordin has authored 100 articles and book chapters. He has been a sport psychology consultant for numerous athletic teams at his university, USA Gymnastics, USA Track and Field, US Ski and Snowboard Association and several professionals on the PGA and Champions Tours. He was the sport psychology consultant for the USA Women’s Gymnastics Team in Seoul in 1988 and a sport psychology consultant for the USA Track and Field Team for the 2004 Olympic Games in Athens. He recently served as the consultant for the USA Nordic Combined Ski Team in Vancouver in 2010 and in Sochi 2014. You can contact Rich at rich.gordin@usu.edu and Cindra on Twitter at @Mentally_Strong.